Wild Thyme's coffee is made using organic ingredients, fitting in with the rest of the menu. For anyone uninitiated into organic food and beverages, do not let this put you off, as Wild Thyme's selection of coffees certainly does not suffer as a result of their organic ethos. 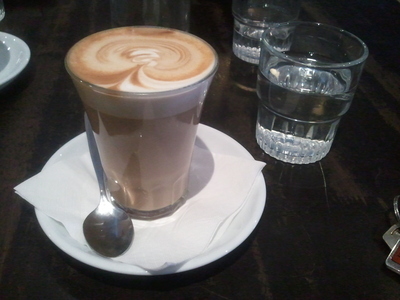 A caffe latte is the perfect example of what makes Wild Thyme coffees worth sampling. Well made with a strong and distinct flavour, this take on a tried and tested style of coffee can be exactly what you need during the day, or indeed, with one of Wild Thyme's filling and healthy organic meals. Why is it worth trying? This flavoursome organic option is a great example of an old favourite style of coffee. 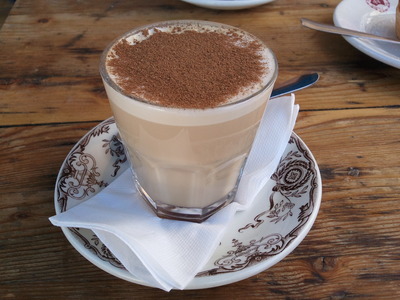 To claim this chai latte as being available 'in Adelaide' is a slight stretch, but it is a great choice for anyone heading out of the city and into Strathalbyn or the surrounding areas. Made by the friendly staff at Argus House, this chai latte has a smooth and creamy texture that any chai lover will savour. Presented in the same simple yet elegant style that Argus House has perfected, this hot beverage is ideally complemented with one of their delicious sweet treats. Additionally, the picturesque presentation of the drink matches the superb scenery you'll have when dining on Argus House's outside tables. Why is it worth trying? It's the perfect beverage to complement Strathalbyn's spectacular scenery. T-bar's smooth, velvety mocha is a must for any chocoholic, sweet tooth or coffee lover. 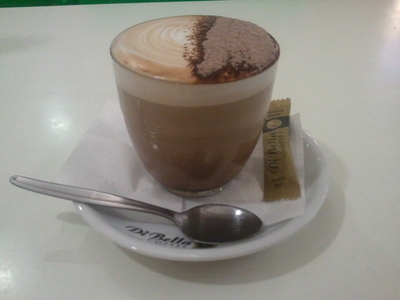 As the mocha is served in a short glass and semi-dusted with chocolate powder it is an extremely well-presented beverage, and should satisfy any patron who eats (or drinks) with their eyes. This mochas flavour manages to balance the fine line between a chocolate drink and full-flavoured coffee, making a perfect mocha. If you are not in the mood for a particularly strong coffee flavour, or are looking to transition from hot chocolate towards coffee, this is the beverage is for you. Why is it worth trying? The bittersweet flavour makes for an ideal morning tea treat or afternoon pick-me-up. 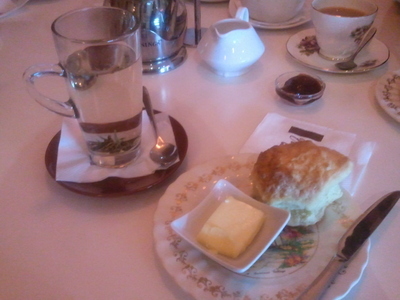 When it comes to the world of teas, do not be afraid to try something new every now and then. For as wonderful as our old favourites can be, sometimes a new blend or type of tea can cut through and be the perfect finish to an evening supper. There are a variety of teas available from Charmer's (the people who provide us with an excellent caramel hot chocolate) that you are unlikely to find in many other places. Jasmine dragon eyes white tea has a distinct and extremely delicate flavour that is likely to please many tea lovers who taste it. Presented elegantly in a tall glass, this exotic delight comes with specific instructions about how to make the most of the flavours, which makes it all the more enjoyable. Why is it worth trying? Take a step outside your comfort zone and try an exotic tea unlike any other. If you've reached the end of this article unsure why it includes the word 'more' in the title, or just want to read more, take a look here. Also, if you have any suggestions as to must try hot beverages, please leave a comment and let us here at WeekendNotes know.